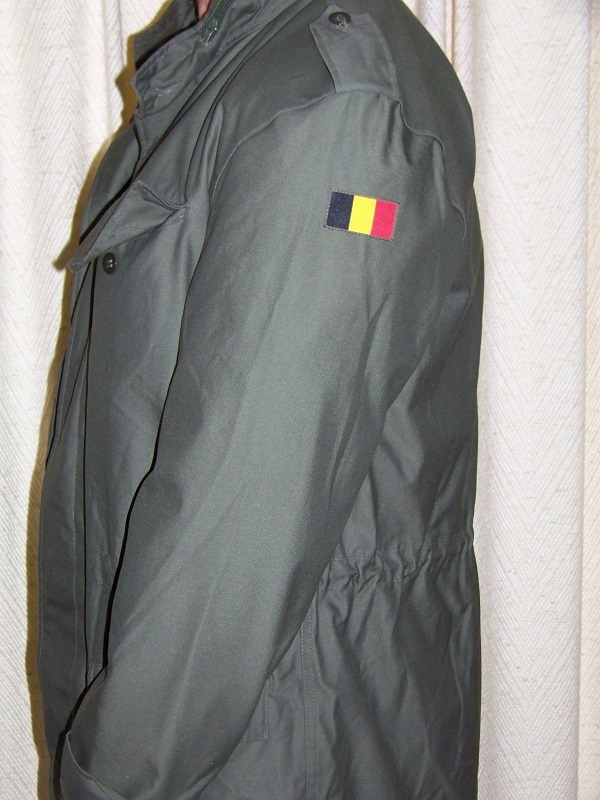 Belgium Army olive drab M-65 coat. New. 3/4-length long. 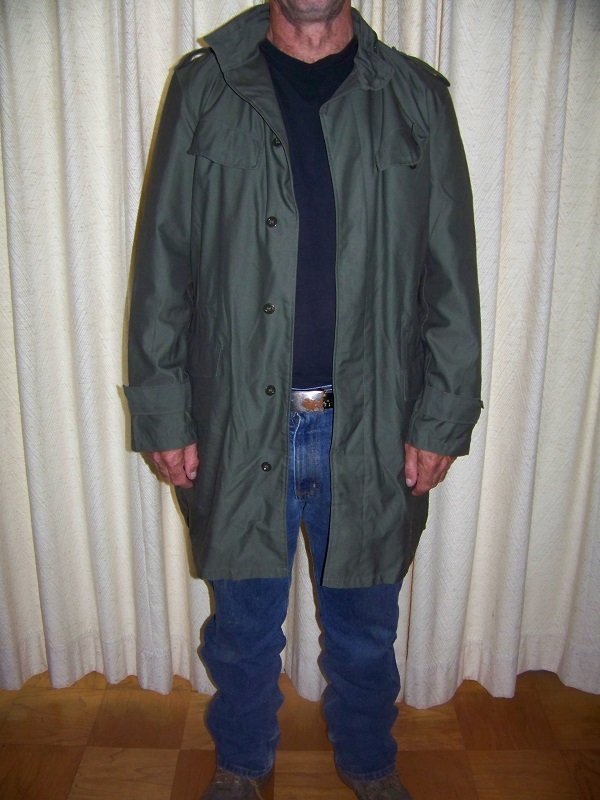 Maks a great light-medium weight car coat. NOTE: model in photo 6' approx. 175#, coat was snug in shoulders. So this would be better suited for someone who wears medium sizes.